Get up and running quickly with the new Jumpstarting ebook series from Make: . The super-small $10 Raspberry Pi Zero W includes wireless LAN and Bluetooth connectivity and is 40% faster than the original Raspberry Pi. Why choose the Raspberry Pi Zero W? It's small. It's cheap. It's power-efficient. It has WiFi and Bluetooth Low Energy (BLE) built in. And it has the same general-purpose input/output (GPIO) header that bigger Raspberry Pi models have: the gateway to controlling all sorts of hardware. 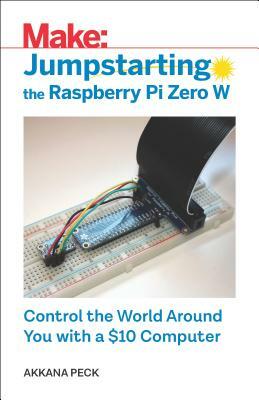 This is the perfect book for students, teachers, and hobbyists who want a quick-start guide to the Raspberry Pi Zero W. No prior experience with programable boards is required.